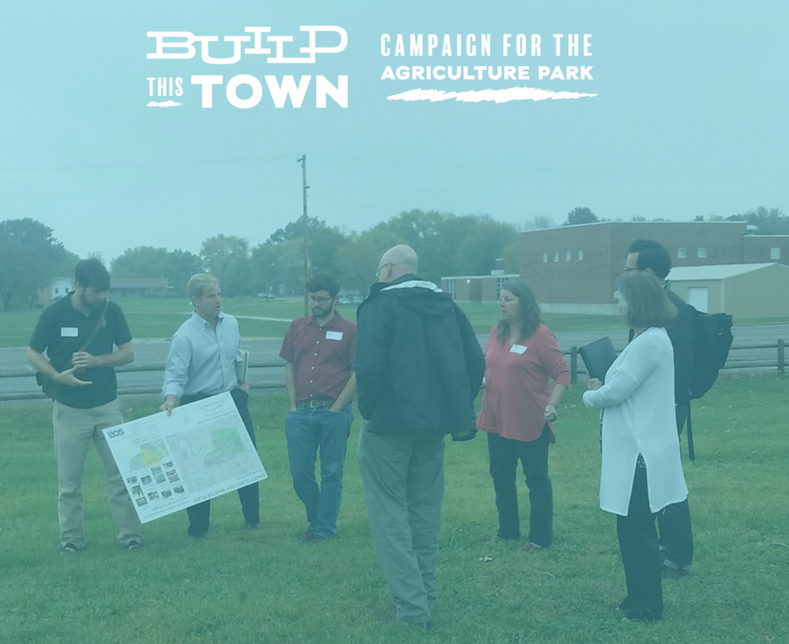 While the concept of an Agriculture Park is new to our community, the activities and organizations that will make up this collaborative site are tried and true. The Agriculture Park will boost the impact of successful organizations and their proven programs. This partnership creates a shared infrastructure that will boost the impact of this winning group. Much of the funding to support the programs and activities at the park will come from the partner organizations' existing budgets. As for program expansion at the park, new sources of funding have already been secured for these existing programs. The Friends of the Farm public-private partnership is working to build the Agriculture Park. Although, our work continues beyond fundraising and construction. The partners are also working together to manage and maintain this site to serve our community's needs. Each organization will remain independent. Together, the partner organizations have the experience and capacity to deliver the park's day-to-day programming. This is not a new entity and the organizations are not merging, it is a group of organizations who have agreed to work together. The deep partnerships will allow this park to serve the entire community with an emphasis on fresh, healthy, local foods. Clary-Shy Park will continue to be a part of the Columbia Parks and Recreation Department. Parks and Rec currently oversees over 3,100 acres of park land and maintains 83 parks, green space locations, and recreation facilities. Parks and Rec will share maintenance and upkeep responsibilities with the other partners. The Agriculture Park is one of many successful public-private partnerships Parks and Rec is involved in. Maplewood Barn Community Theater organizes a community theater in Nifong Park, and the Diamond Council organizes baseball and softball leagues across Columbia's park system. The Parks Department takes care of basic maintenance of facilities while private organizations take responsibility for the day-to-day activities provided on the site. These partnerships allows park spaces to be more productive and engaging to the community. Parks and Rec's operational funds come from the City of Columbia's General Fund and rental fees. The Agriculture Park's multipurpose building and market building will generate rental revenue for the department. Parks and Rec's capital improvements are funded by the Park Sales Tax. Since 2009, CCUA has grown from an all-volunteer nonprofit to a full-time staff of 12. CCUA operates their 1.3 acre Urban Farm and directly oversees the management of other gardens at locations across Columbia such as: Kilgore's Pharmacy, Lucky's Market, and Columbia Housing Authority. CCUA will play the largest role in day-to-day activities at the park. Today, CCUA's PLANTS Program provides hands-on experiences to groups at the Urban Farm and other community sites. In 2018 over 11,000 kids and adults got their hands dirty with CCUA. Upon construction park features such as: an outdoor classroom, demonstration gardens, an urban farm, a kitchen, and outdoor pavilions will allow this program to grow and serve more people. This program is supported by funding and partnerships with: Columbia Public Schools, Heart of Missouri United Way, Boone County Children's Service Fund, and fees paid for by participants. Today, CCUA's Urban Farm on Smith Street is in its tenth year of production. The farm is a learning environment for the PLANTS program, gives hands-on opportunities for over 600 volunteers and interns every year, and grows tons of fresh food every year for local hunger relief outlets. In 2018, CCUA grew 17,000 pounds of fresh food at the Urban Farm. The Urban Farm's operational budget is supported by the Planting for the Pantry program where individuals, businesses, or groups can sponsor rows of produce. Since 1980, the Columbia Farmers Market has operated at this site. The market’s steady growth over the years has led to an robust market with 80 farmer and artisan producers who sell a wide range of products. CFM's staying power can be attributed to their integrity. This "producer-only" market only allows producers (no resale is allowed) of local products within a 50-mile radius of Columbia--this "producer" status is verified with regular inspections. The market is managed by a full-time Executive Director and four part-time staff members. Today, you can shop at the Columbia Farmers Market three times per week in the summer and even in the winter months you can find fresh produce, meat, and baked goods at their weekly indoor market at Parkade Center. When the Agriculture Park's construction is complete, the year-round Columbia Farmers Market will be in the same location all four seasons. The Columbia Farmers Market is funded by fees paid for by its member-vendors. This permanent location will reduce the staff burden required for market management. Sustainable Farms & Communities operates the “Access to Healthy Foods” program at the Columbia Farmers Market. This program provides a match to low-income families who use SNAP and WIC. Last year funding from SNAP, and the Access to Healthy Foods program allowed low-income shoppers to take home over $65,000 of fresh food at the market. This program is funded by the Heart of Missouri United Way, Boone County Children's Service Fund, USDA, and private donors.